A man is dead after a car crash and became submerged near the Dungeon, a geological attraction outside Bonavista. 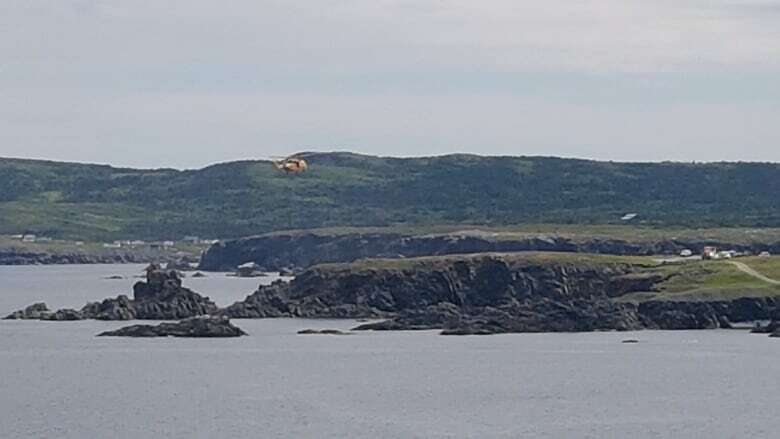 A man is dead after his vehicle crashed into the ocean Tuesday at Bonavista's Dungeon Provincial Park, a geological attraction that draws visitors to see arches and a sea cave. "The vehicle was observed driving over a cliff and ended up completely under water with one man inside," RCMP said in a statement. RCMP said the man's body was recovered from the water Tuesday afternoon, although crews were still trying to retrieve the vehicle. A helicopter dispatched from 103 Squadron in Gander lowered search and rescue technicians into the water. RCMP said the Canadian Coast Guard transported the man's body to shore. Police said a traffic analyst was being called to the scene. Lee Tremblett, who lives near Bonavista and witnessed rescue efforts, said the car fell off an embankment. "Quite a drop down to the water here, probably close to 100 feet," said Tremblett. RCMP said their investigation will involve the Office of the Chief Medical Examiner.